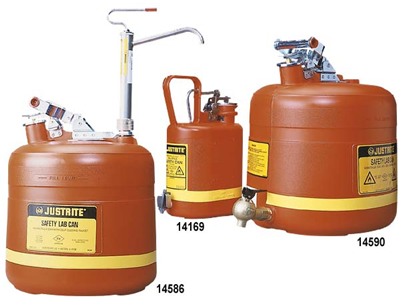 High-density polyethylene safety cans will not rust, dent, crack or peel. Round or space-saving oval. With low level faucents for use on shelves and with top faucets for tilting on stands.